Osama bin Laden Health Rumors: Fact or Fiction? WATCH Bin Laden's Health Problems Just Rumor? In the years between Sept. 11, 2001, and Sunday's raid, rumors swirled about Osama bin Laden's health. Some even believed he'd died in an area so remote that the best intelligence could not find him. "Despite the fact that we have all been hearing about his kidney problems and the need for dialysis, according to the intelligence people I've talked to in Washington, there was no evidence of a dialysis machine in the compound where he was found," said Mary Anne Weaver, author of "Pakistan: Deep Inside the World's Most Frightening State." The exclusive video obtained by ABC News inside the compound also does not show any evidence of dialysis equipment. There were what looked like medication bottles, but a closer look at the video reveals the bottles contain petroleum jelly, eye drops, olive oil, sunflower oil, an antiseptic and a nasal spray. In a January 2002 interview with CNN, Pakistan President Gen. Pervez Musharraf said bin Laden had probably died of kidney failure, and that he'd taken two dialysis machines into Afghanistan with him. Reports have also circulated that the al Qaeda leader also had kidney stones, but Weaver said she never heard officials mention that condition. Speculation about kidney disease first arose shortly after the 9/11 attacks. "The reason I think it caught on is because people thought that if they were going to catch him, his need for medical treatment could have made it easier to track him down," said Adil Najam, a professor of international relations at Boston University. "Had he been in dialysis, it's possible they could have caught him earlier," said Kenneth Katzman, a Congressional Research Service expert on Afghanistan. "He would have needed equipment and changes of parts." Along with the rumors about kidney disease, Weaver said the one about bin Laden having Marfan syndrome was also widely circulated. Marfan syndrome affects the connective tissue that supports tendons, ligaments, heart valves and other parts of the body. If it attacks the heart or the vessels of the heart, it could cause an enlarged heart or torn vessels. Those with Marfan syndrome might be be tall and thin; have long, curved fingers; vision problems or no symptoms at all. "The CIA suspected bin Laden had Marfan syndrome, but then the guy who briefed me on this said the information was negative a few months later," said Weaver. Weaver said officials told her bin Laden had an enlarged heart, and she reported that in her New York profiles of the most wanted terrorist. "It was a fleeting mention by intelligence officials," she said. Weaver also said she heard bin Laden had low blood pressure, but she never thought it was a serious condition. 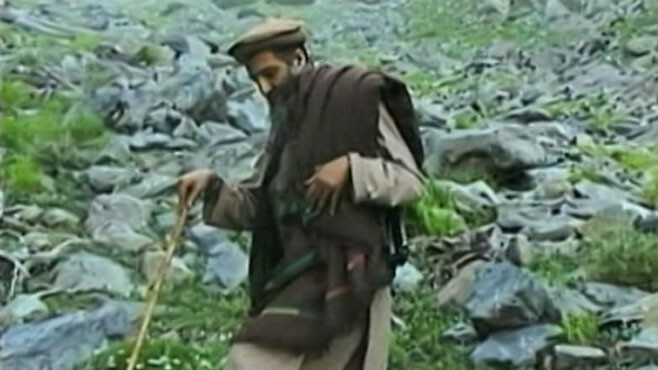 Experts say bin Laden was very likely injured in a 2001 battle in Tora Bora, the complex of caves in Afghanistan where U.S. forces believed members of al Qaeda were hiding. "It does seem he may have been injured with shrapnel in Tora Bora," said Katzman. "After his escape, he wasn't able to move his arm much." In one of his earlier videos, bin Laden appears to be immobile on his left side, but Katzman said that his injury seems to have healed based on the viewing of subsequent videos. Officials who saw the first video he made after Tora Bora told Weaver bin Laden appeared to be in very bad health because part of his body seemed motionless. "I've traveled through some of the parts of Pakistan he was believed to have been. He was moving around in very rugged and inhospitable terrain. A man can't be that frail in health to sustain that," said Weaver. "There's no way to know for sure ill he really was. The only way to tell would be an autopsy." It's too late for that, and some believe that's for the best. "There is a lot we'll never find out, and perhaps it's best if we never do," said Najam. Bin Laden Health Rumors: True or False?